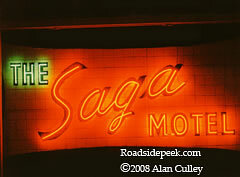 Check out the nice sign for the Supai Motel in Seligman, AZ, which was restored in 2006. Seligman is the Route 66 town which some say is the birthplace of the rediscovered Route 66. The Supai opened in 1952. The bright boomerang arrow of the Route 66 Motel shines brightly to the Route 66 travelers along the Mother Road. 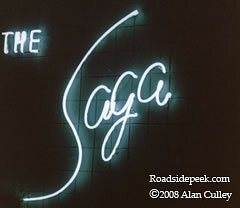 The Saga Motel is located along Route 66 heading west out of the city. 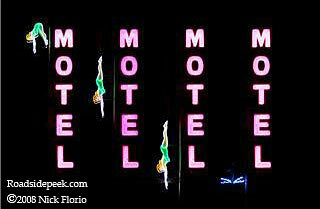 The sign outside for the Amazon Motel stands tall off the Miracle Mile. How about this neon shot of a swimmer hitting the water. 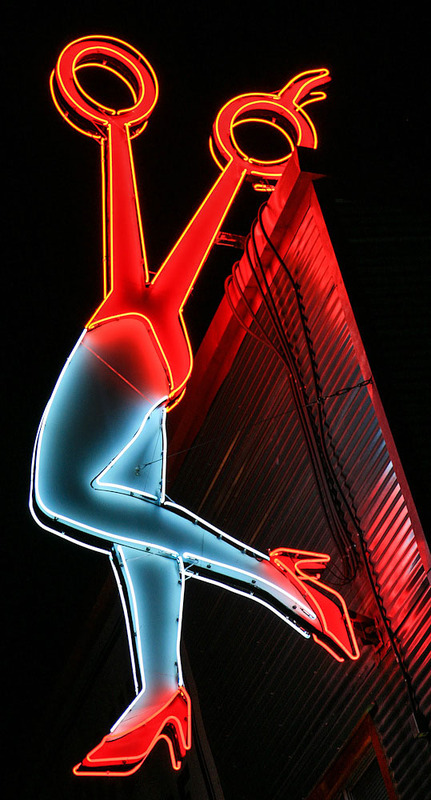 Swimmer neon marquees in the desert used to appeal to the hot and weary traveler looking for a mirage or oasis to cool off for the evening.